Google appears to be building its very own Android tablet, one designed to compete at the high end of slate spectrum. The company's executive chairman, Eric Schmidt, made the announcement to Italian newspaper Corriere Della Sera, adding that Google's premium tablet could debut within six months. Schmidt told the newspaper that the tablet's build would be of the highest quality, an indication that Google has no intention of duking it out with the new crop of bargain Android-based tablets, such as the Amazon Kindle Fire and Barnes &amp; Noble Nook Tablet. 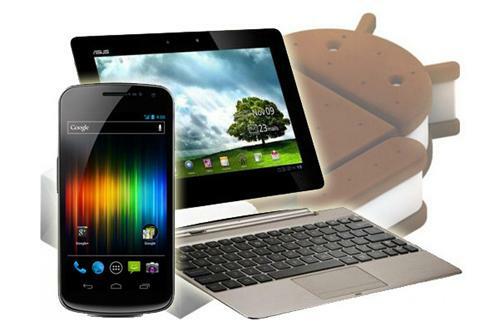 Rather, it'll compete with the next-generation iPad and premium Android slates like the Asus Eee Pad Transformer Prime. As for price, expect to see a $500 or higher device. Google could drop as low as $400, but probably not below that. However, finding the right recipe of price and features may prove tricky, particularly in light of the Kindle Fire's initial success this holiday season. Consumers have shown they're willing accept a less capable tablet (e.g., slower performance, fewer apps, no cameras) if the price is right. The iPad, which starts at $500, is a proven success, obviously, but the same hasn't been true for Android tablets. The Transformer Prime may be getting raves from tech reviewers, but it's unclear whether consumers are willing to pay $500 to $600 for a non-Apple tablet. Given Google's high-end aspirations, its tablet's screen resolution, processor power, storage capacity, and dual cameras (assuming it has two, front and back) must be as good as -- or better than -- what other premium slates will offer six months from now. Persistent rumors say the third-generation iPad, which could debut early next year, will have a 2048-by-1536 pixel screen, which is four times as many pixels as the iPad's 1024-by-768 display. That’s impressive but Samsung reportedly has a 2560-by-1600, 11.6-inch screen in the works, according to recent reports. A premium Google tablet would need to match or surpass those eye-popping specs. Premium slates are getting super-charged. The Transformer Prime is the first tablet to feature Nvidia's quad-core, 1.3-GHz Tegra 3 chip. The next iPad will likely feature a new processor, possibly named the A6, which may be quad-core as well. And then there's the aforementioned Samsung slate, which Boy Genius Report says will feature a 2GHz, dual-core Exynos 5250 chip. For Google's tablet to make a splash, a top-of-the-line CPU is essential. Google's tablet will almost certainly feature Android 4.0 or later, an interface enhancement that would bring the slate closer to the iPad's finely tuned user experience. A bigger problem, of course, is the dearth of tablet-specific Android apps, and it's unclear if or when that situation will improve with the arrival of Android 4 tablets. When it comes to tablet cameras, there's plenty of room for improvement. Google will not have a problem topping the iPad 2's camera specs, but it can't afford to get chintzy. The iPad 2's front and rear cameras simply aren't very good, and it'll be a shocker if Apple doesn't upgrade this deficiency on the iPad 3. The Transformer Prime has an 8-megapixel rear-facing camera, and a 1.2-megapixel front camera. What features would you like to see in a Google tablet? Sound off in the comments below.